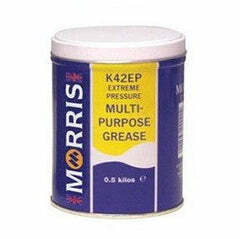 Click here to be notified by email when Morris K383 Copper Grease becomes available. K383 is a lead free anti seize compound, made from high quality mineral oils, non soap thickener incorporating copper powder and graphite. Anti-seize properties enable this grease to work even if the joints become so compressed that most of the compound is squeezed out, or excessive temperature flashes off the oily part of the compound. A fine film of copper particles always remain in joints or threads to prevent seizure. • Prevents seizure and galling during assembly and therefore reduces assembly time. 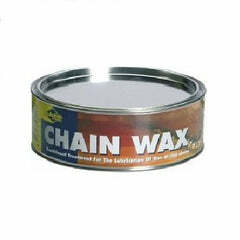 • Enables the easy dismantling of components subjected to high temperatures. 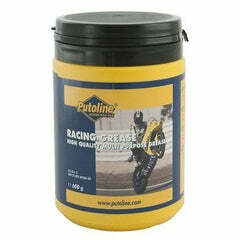 • Provides an effect anti-seize in saturated conditions, including chemical environments and salt water. • Enables fast and easy dismantling of components, allowing them to be reused after dismantling. 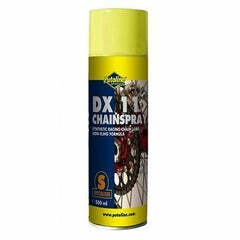 The excellent anti seize properties of K383 make it ideal for lubricating brake linkages. The product is also recommended as a thread lubricant on studs, pipes, casings and whenever eventual disassembly must proceed smoothly. K383 can be used with confidence on the threads of pipes that carry very hot and corrosive liquids or gases, where it assists sealing and allows trouble free disassembly, including pipe fitting and valves in the chemical, petrochemical, gas and drilling industries. With a history dating back over 145 years Morris are a brand with a global reputation for delivering the highest quality motorcycle engine oils & fluids. As one of the largest independently owned manufacturers in the engine oil industry they have tested and formulated outstanding engine fluids to keep your bike on the road or track for longer.